I’ve been blowing up Tumblr and Twitter with posts about Quin the 3D Printed Fashion Doll. If you haven’t checked it out lately, the Kickstarter has reached 50%, but we still need your help! Go pledge now, even if it is just $5, help support this amazing doll! In the mean time, how about some posts about my newest Quin print. This is Pump-Quin. Pump-Quin is printed in fluorescent orange filament. She glows in UV light! This photo also shows a modification that my husband made to the original Quin files that gives her articulated wrists! This one feature changes the doll so much. She now has personality, attitude, and sass. I can’t wait to see what she’ll look like with real doll eyes! What do you think about Pump-Quin? Do the wrists change your opinion of this doll? Have you given to the Kickstarter yet? My last review is for the Avea Trotter doll. This is the doll I was least excited for, and I’m still not sold on her. 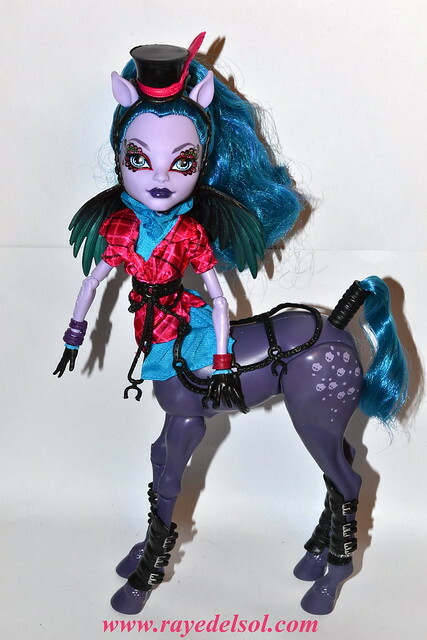 I’m not a huge centaur fan, so that might contribute to how lackluster she is to me. 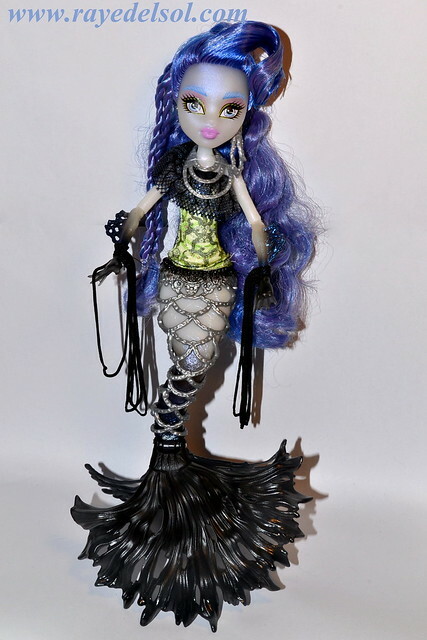 I thought Sirena was going to be my favorite of the Freaky Fusion Hybrid dolls. While she is still a close second, I am afraid Bonita stole the spotlight a little bit. That doesn’t mean I don’t still adore Sirena! Give her a chance! The Freaky Fusion Hybrids are popping up at Toys R Us stores all over and I had to grab a set! I wasn’t excited for these dolls until I saw owner photos popping up on tumblr. I’ve been checking my TRU daily, and they were there this morning! I’ll break these reviews up by doll so that each post isn’t massive. My first pick is Bonita Femur ~ the daughter of the Mothman (Father) and the Skeleton (Mother). Greetings everyone! 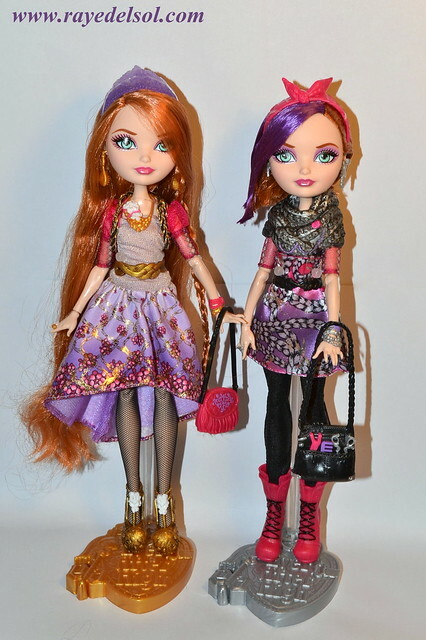 I promised you a review of the O’Hair twins when my dolls arrived and they are here!!! I am so excited! You have no idea how beautiful they are! I’m kind of in denial that such beautiful dolls are now mine! They seemed like such a far off dream and now they are on my coffee table! Let’s get to this, then!